Tempering | Dutch Thermal Engineering n.v.
DTE has a complete range of tempering machines for the heating and controlled re-cooling of industrial processes. 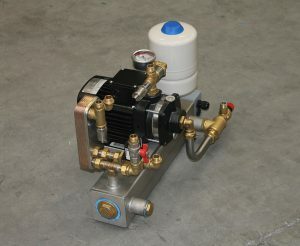 The heating capacities in the standard range run from 9kW to 24 kW. Naturally, larger capacities are available on request. 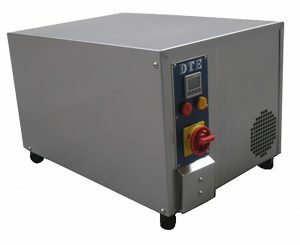 DTE has 2 types of tempering units, a sealed range from 90°C, 120°C and 140°C (pressure system) and an open range to 90°C (atmospheric system). We can consult with you in order to determine the most suitable version, depending on your needs. In terms of communication with your devices in fact everything is possible, from BUS to 4-20mA, feel free to discuss this.